A bomb blast at a crowded market in the northwestern Afghanistan province of Faryab has killed at least 19 people and wounded tens more, local authorities said on Wednesday. A man walking his explosives-laden bicycle blew himself up at a checkpoint in the Almar district of the province killing a soldier and two policemen. All other fatalities were civilians gathering at the market following the Muslim Eid holiday, security sources said. Deputy provincial police chief Baryalia Basharyar told the Associated Press that the “target of the attacker was military forces that were present in the area but the majority of the victims were innocent civilians”. There has been no immediate claim of responsibility, but the Taliban have been very active in Faryab in the past few weeks. 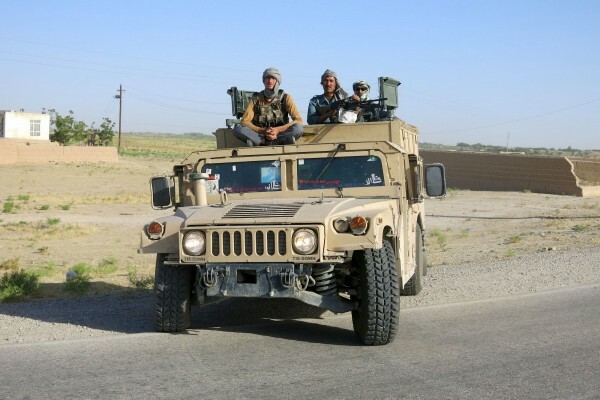 On Tuesday, government forces launched an attack – supported by US air power – against Taliban positions in the area. Earlier, US helicopters engaged in a battle against Taliban forces mistakenly fired on and killed eight government soldiers in the Logar province, south of the capital Kabul.